Krispy Kreme just revamped its coffee, and to tempt customers into giving it a taste the chain is tossing in a free doughnut with every purchase. The special offer isn’t a one-day promotion either: You can get a free doughnut every time you buy a coffee at Krispy Kreme for three full weeks. 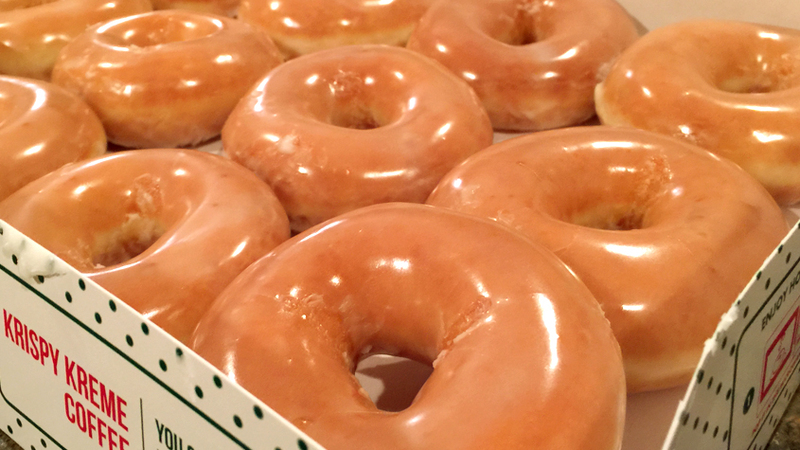 Starting February 6 ending February 28, Krispy Kreme will provide customers with a free original glazed doughnut when they purchase a coffee in any size. No coupon is required, and customers may take advantage of as many free doughnuts as they can handle while the deal is valid. Krispy Kreme’s new coffee blends are hitting the scene as more (and more younger) Americans are increasing both their consumption of java and their willingness to spend more per cup. Starbucks raised prices on some beverages last November, on the heels of a different price hike on brewed coffee and other drinks last summer. A wide range of fast food and convenience stores have been upping their coffee game for years as well, by rolling out higher-quality brews and regularly hosting special deals and giveaways. Krispy Kreme’s new coffee comes a couple of years after rival Dunkin’ Donuts released a dark roast blend as an alternative to the chain’s traditional sweet, light-roast coffee. While Krispy Kreme’s effort to spruce up its coffee is hardly original, it’s hard to argue with how the company is promoting the new product: Everybody loves free doughnuts.